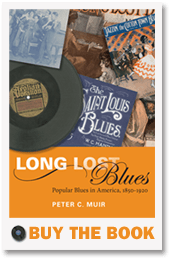 These workshops combine Dr. Muir’s musicological research in, and performing experience of American vernacular music with his background as an authority in the field of music and wellness. Blues is one of the most powerfully expressive of musical styles. Deriving in part from African African slave experience, one of its special properties is that it is inherently therapeutic. Even the name reflects the fact that music is designed to cure the singer of his blues. This workshop, based around singing, focuses on the therapeutic aspect of blues. Drawing on the ground-breaking research of John Diamond M.D., the leading authority is using music for health, it shows how anyone can use the blues to cure their own blues, regardless of their technical ability and experience. American popular song from the period 1900-1950–commonly known as Tin Pan Alley–is one of the most inspiring and accessible of musical genres ever created. Drawing in part on ground-breaking research by John Diamond M.D., a leading authority in using music for health, this workshop shows participants how to maximize the therapeutic benefits of this music by the use of simple techniques and approaches which can be used by anyone. No previous musical experience necessary.